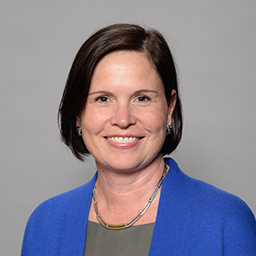 Donna McPartland is Chief Privacy Official, Corporate Counsel and Compliance Director at the Graduate Management Admission Council® (GMAC®) and leads the global privacy and compliance program. Donna is responsible for senior level guidance on all aspects of the privacy and compliance programs at GMAC. Donna is an active member of the International Association of Privacy Professionals (IAPP) and serves as a member of the Education Advisory Board, is a member of Women Leading Privacy group and is certified as a privacy manager (CIPM) and privacy professional (CIPP/US). Donna is also a forum leader for the Association of Corporate Counsel (ACC), National Capital Area, Non-profits and Associations with a focus on data privacy for non-profit organizations. Before joining GMAC, Donna’s legal experience included the Public Broadcasting Service (PBS), Hogan & Hartson LLP, and America Online (AOL).